While plastic injection molding may not be rocket science, it is still a very complex manufacturing process. It involves great attention to detail and there are many factors to take into consideration. First, the part design must be developed and maximized for manufacturability. Then a mold must be built. This involves computerized as well as hand tooling. The mold must then be tested along with resin and color options to determine the best formulation for the project. Press size and configuration are required to begin the manufacturing process. Once all the preliminary phases are complete, fine tuning of the mold and materials may be required before production runs are scheduled. Plastic injection molding is the most used method of manufacturing plastic parts with wall thickness between 0.5mm to 5mm. There are some other methods of plastic forming like blow molding for the hollow products, compression molding for the super large parts, extrusion molding for the long and unregular tubes or pipes. When we come to the step of injection molding, the raw material is poured into the hopper on the top of the injection molding machine. There is a barrel under the hopper with a screw inside. The temperature increases, the screw rotates and the molten raw plastic material slowly moving on the barrel. This process is called plasticalting, the solid raw material is change into flowable liquid. At first, we need to set the proper indexed like the temperature, pressure and speed accroding to the plastic material and mould structure. When the flowable palstic is homogenised inside the barrel, the material is injected into the mold cavity in a short time, maybe less than one second. When the cavity is overpacked, the volume of injected material is more than the part in order to compensate the shrinkage, the pressure is reduced and the cooling system start to work. After the parts are solidified, the back platen of press moves and ejects the parts. Then the process completes. The key factor is to adjust the press indexes to accommodate with the specific material and mould. Before we start the mass production, the sample shots should be run for several times until the production process is stable. Generally, the period between finish of mould making to offical production should be less than 2 weeks. The time of mould trials should be less than 3 days. 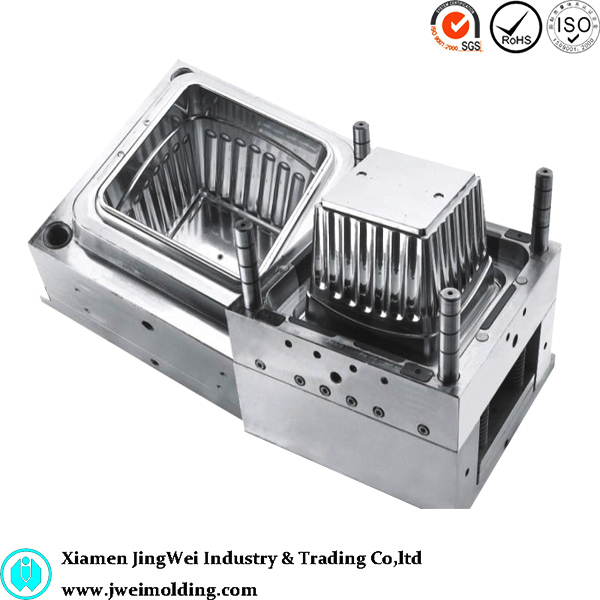 Or the injection molding supplier is lacking of experience or the mould maker is not professional. Jingwei molding has more than 15 years experience in injection molding. Contact us via info@jweimolding.com. 1 responses on "An Introduction to Plastic Injection Molding"